Risk assessment of school carried out by Principal and senior leadership team in conjunction with transport. If travel to and from school, building (heat etc. ), dinners and staffing levels are all deemed safe school will open as normal. 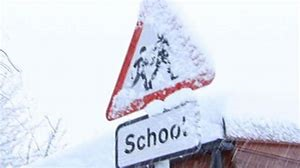 If the above are deemed unsafe, ALL parents and staff will be contacted via school texting service that school will be closed. The school website will also be updated. Please ensure school has your up to date contact numbers. Please have a plan in mind for your child if school needs to send a message of closure at short notice. All of the school community will be told when school is to re-open via the same methods. We will endeavour to open school as normal if possible. Certain buses/taxis may choose not to run due to their risk assessments even though school is open. It is up to either transport office or individual buses/taxi staff to contact parents in these circumstances. If this happens and you wish to transport your child to school, please ensure you can collect at the end of the day. Please note that currently the Halfpennygate Road is not gritted. School and the local community have tried to amend this, however the Council are unable to facilitate this at this time.